Here are plants to start a bed of these perennial Russian leeks. 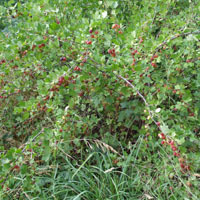 I ship spring/fall and offer seed. 6-8 inches. 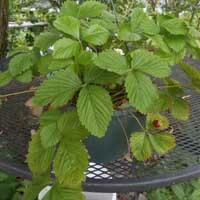 I will ship 25 plants from 6-10 inches long, ready to transplant into pots or a bed. 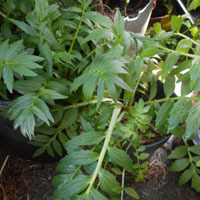 They are best planted in spring or fall or in containers They should be planted about 3 inches apart. 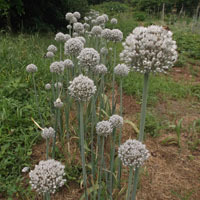 If you want to hill them, you will get larger leeks with a longer white stem. They are nice planted and hilled with celery as a companion These leeks are hardy. They do require a warmer climate to set seeds but also form small bulbs at the base of the plant that can also be planted so you should never need to buy seed or plants again as long as you don’t eat them all! I got my starts originally from Southern Exposure Seed Exchange. It takes about 4- 5 months to get plants ready to transplant from seed.